It’s true — there are a lot of sandwich shop franchises out there, but just like sandwiches, they’re not all created equal. If you’re looking to start a quick service restaurant, go with one that serves up a heaping helping of personality along with tasty, hearty sandwiches. Choose a Tony Luke’s cheesesteak franchise. While other sandwich franchises are pulling out packages of pre-wrapped, frozen meats, we stack our signature sandwiches with delicately sliced black Angus rib-eye steak and slow-roasted pork, decadent Kraft Cheez Whiz and sharp provolone cheese, and verdant broccoli rabe and sautéed spinach. Then, we put some natural cut fries on the side, seasoned to the customer’s taste with chipotle BBQ, salt and vinegar or, our personal favorite, Maryland crab seasoning. We round out our menu offerings at many locations with items such as hoagies, hamburgers and hot wings, along with a kids menu to attract more family business. The recipes, ingredients and tastes of Tony Luke’s fresh sandwiches and sides beat out the bland sandwich offerings and bagged chips at other sandwich shops. Here are our menu Signature Items. 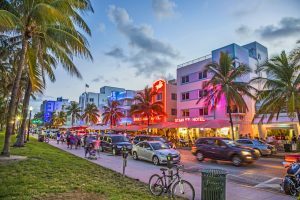 The sandwich franchise marketplace is massive, with dozens of concepts contributing to a $22 billion industry that continues to be on the rise. 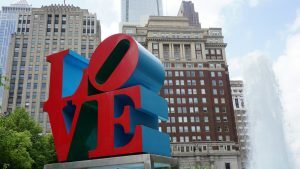 With so many sandwich shops out there, Tony Luke’s stands out with its family foundation and its larger-than-life owner, Tony Luke Jr.
Tony Luke’s started in 1992 as a business borne of a family passion for food, with Tony, his brother and their father operating the sandwich shop in South Philly. From the start, we’ve offered great food and a neighborhood mentality. We appreciate every single customer that walks in any one of our stores, and we never forgot where we came from. Now, we’re looking for cheesesteak franchise investors who are willing to put in the same hard work, commit to the same quality, and embody the same thankful attitude that got Tony Luke’s to where it is today. 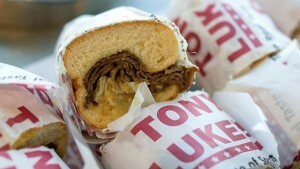 You also get the celebrity Tony Luke! When you start a philly cheesesteak sandwich shop with us, you’ll also benefit from the celebrity Tony Luke Jr. brings to the brand. An entrepreneur, actor, musician and all-around fun guy, Tony and his restaurants have appeared on TV shows including Man vs. Food, Throwdown with Bobby Flay, Dinner: Impossible and more. We have many cheesesteak franchises opportunities worldwide, here are some of our available cheesesteak franchise locations in the U.S.
Our cheesesteak franchise stacks up higher than the rest. Get started with your own sandwich shop today! 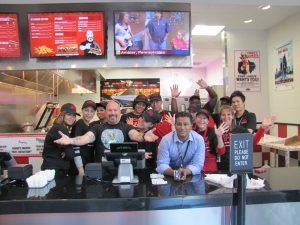 Why You Should Love Tony Luke’s Franchise?